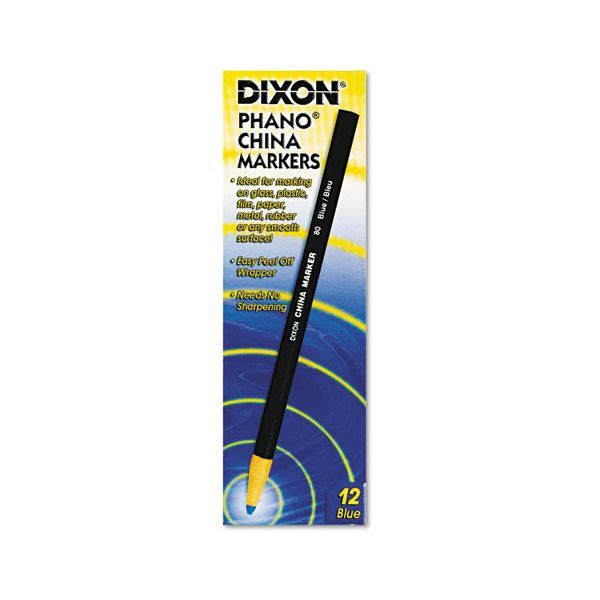 Ideal for marking on glass, plastic, film, and most surfaces. Easily wipes away clean from smooth surfaces. 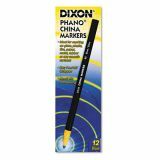 Dixon China Marker, Blue, Dozen - Phano China markers are ideal for marking on glass, plastic, film, paper, metal, rubber, almost any surface. Bright colors for vivid marks. Easily wipes away clean from any smooth surface. Markers are paper-wrapped with tear strings for sharpening. 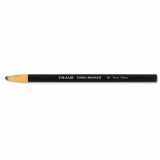 Moisture-resistant and break-resistant. Certified PMA nontoxic.